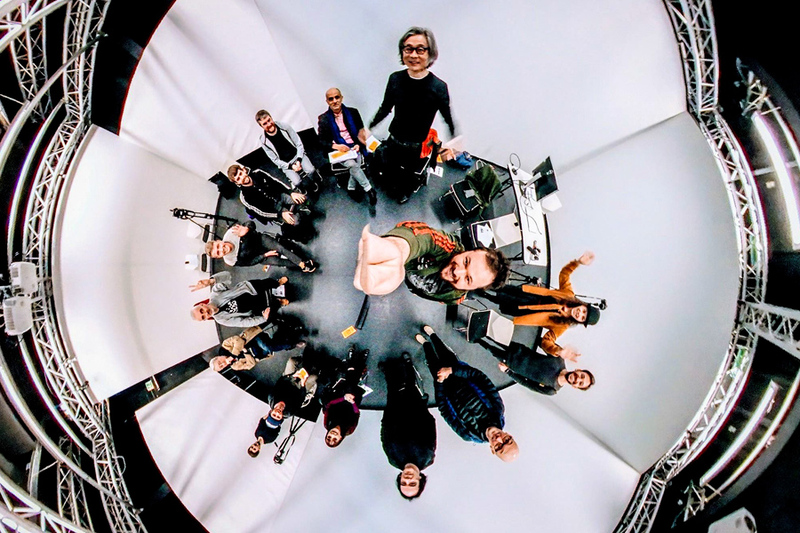 Immersive Pipeline is a research project led by London-based Japanese academic and Goldsmiths University professor Atau Tanaka with artist Blanca Regina and programmer Piere Tardif. 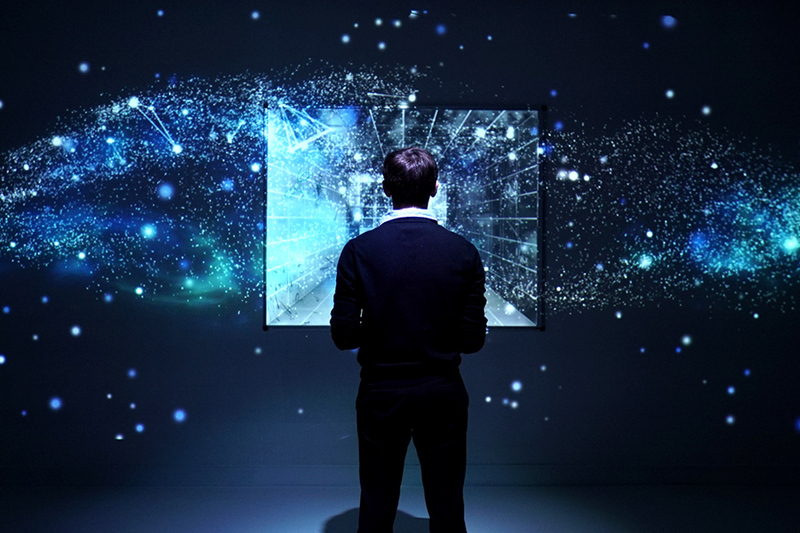 It’s funded by both the UK’s Arts and Humanities Research Council and The Engineering and Physical Sciences Research Council following calls for the next generation of immersive experiences. The aims of the project include creating ‘content production pipelines’ to allow artists to concentrate on the creative aspects of their immersive works and to facilitate conversion of existing works from one format or space into another. They will be presenting their paper “Lumiere fairy-tales: Projection mapping magically real and irreal festival lightscapes” which uses case studies of events staged and visited by the authors to illustrate how projection-mapped light installations conjure, and deceive with magical reality. Light shows can be vertiginous. The immovable moves, the inanimate is animated and the viewer switches on the illuminated gaze leading to sensations of wonder and the uncanny. Affective, magically real lightscapes (dis)embody the spatial creativity, fluidity, and poetics; enacting shadow-play theatre on a non-human scale. Performances are augmented by fairy tale hyperreality; shining a magic lantern onto local folklore. David Lublin is an artist, programmer, occasional mathematician and lead developer of VidVox, based in Brooklyn, NY. 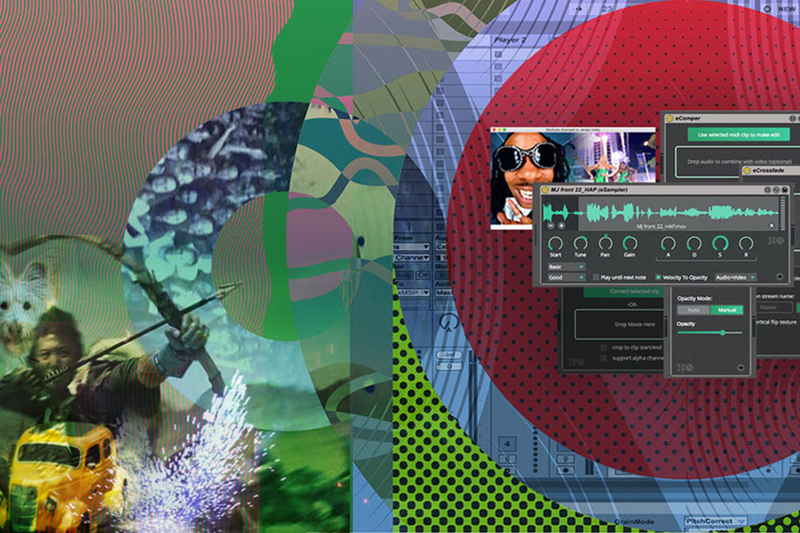 Vidvox, the creators and developers of VDMX software, are an independent Mac software company based in New York. 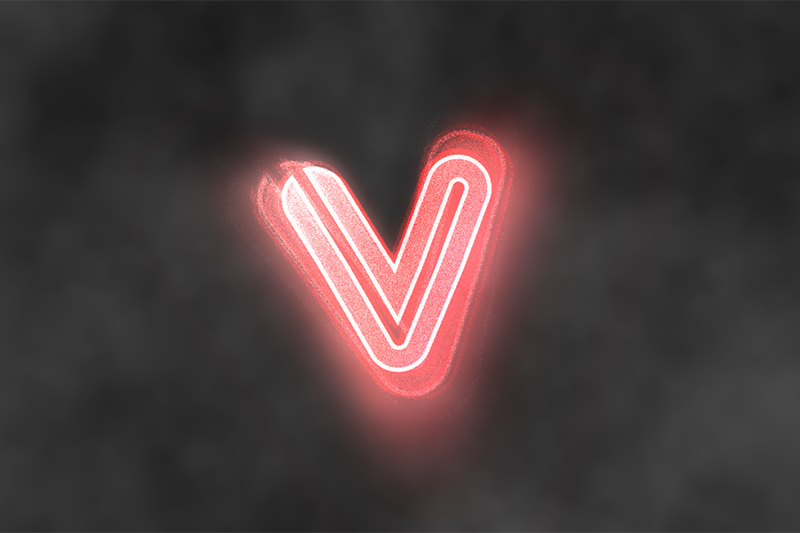 Founded in 1998, they’re focused on making outstanding tools for visual artists, VJs and performers around the world. In this presentation talk/q&a/workshop session, Jeroen Hofs (Eboman) will show EboSuite, his video sampling, edit, mix and visual effects software aimed specifically at musicians and audiovisual performers using Ableton. Ebsosuite consists of a growing set of plug-ins that provide an unrivalled way of integrating video into live shows and music productions. It enables musicians and AV artists to produce/perform their own video clips and visual music without having to learn about complex video editing or VJ software, in fact everything needed to create and perform AV compositions can be done straight from Ableton Live. Limbic Cinema is a video-design studio that specialises in the creative application of projection and digital technologies. 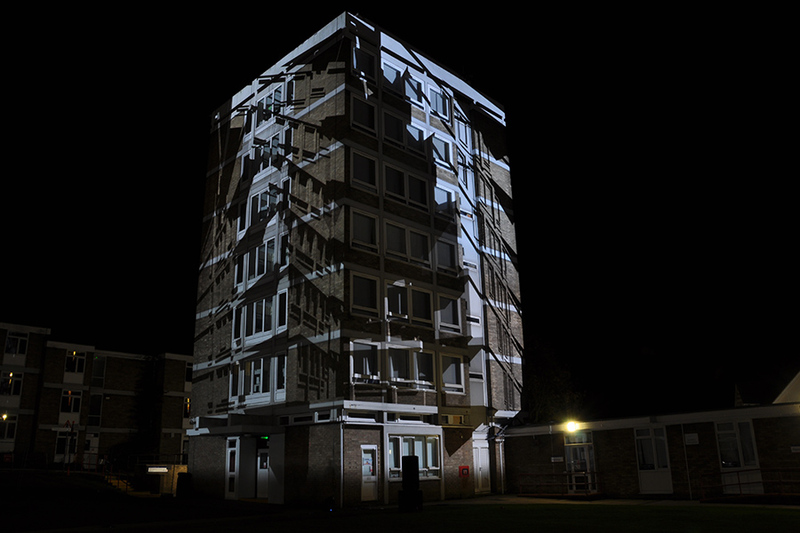 Their work often involves augmenting architectural features and spaces through the use of projected imagery. The results can be seen in a variety of scenarios from site specific theatre to one-off music events and art galleries. The outcome is very often immersive and always transformative. They’ve produced dozens of stage designs for UK festivals, most notably alongside The Common at Glastonbury Festival 2017 to bring The Temple stage to life with stunning visuals. 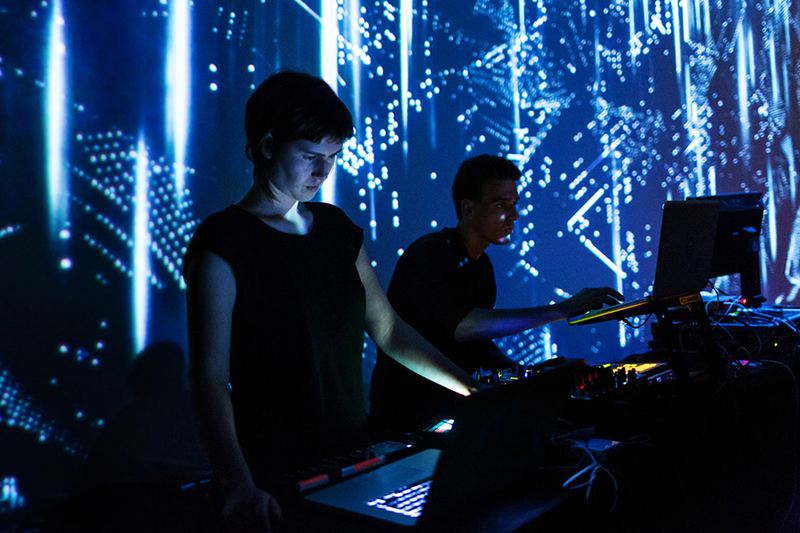 Currently their custom stage-design and visuals are touring internationally with Roni Size. Lucy Benson is a visual artist and director known for her distinct and evocative media works, installations and audiovisual performances. Her practice is marked by an existential approach to technology, identity and perception. Lucy’s live performances are entirely original, self-contained cinematic works of unique and enigmatic worlds, structured by narrative and painstakingly crafted from concept through to performance. Smashing conventional directorial ideas of where an image ends, London based video designer Weirdcore creates experimental design and animation work that pushes the boundaries of visual interpretation. Working across a whole range of diverse industries, including music, fashion, theatre and opera, Weirdcore has collaborated with some of the most exciting modern artists around, including Aphex Twin, M.I.A, Skrillex, Radiohead and leading industry figures including Nabil Elderkin, Hype Williams, Sophie Muller and Diane Martel. Seamlessly working with 2D and 3D, he lends a one-of-a-kind twist to the graphic approach for videos, commercials, live visuals and fashion films. 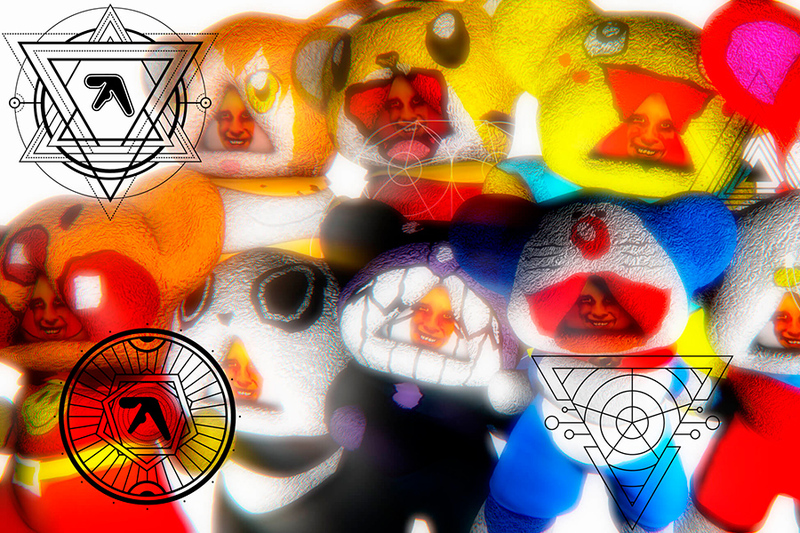 Describing himself as “that dude who does those WTF graphics!”, Weirdcore doesn’t often give talks but at Splice 2018 will speak about his work and the various projects he’s been involved with over the years, taking questions from the audience.